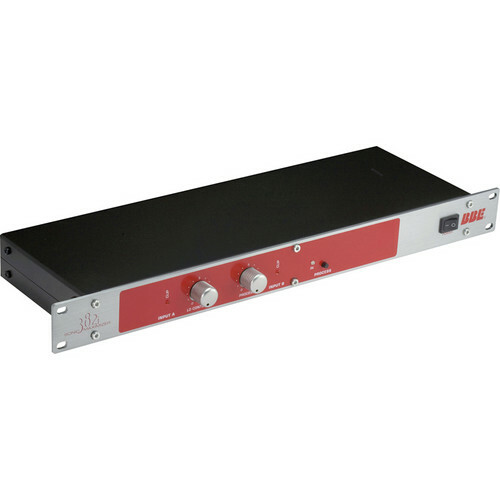 The 382i from BBE Sound is dual channel Sonic Maximizer with the convenience of ganged-stereo operation, perfectly suited for any unbalanced studio, PA system or guitar/bass rig application. The unit is easy to set up, with single "lo contour" and "process" knobs that apply the sonic processing to both channels equally. Box Dimensions (LxWxH) 21.3 x 11.7 x 3.6"
382i - Sonic Maximizer is rated 4.0 out of 5 by 2. Rated 3 out of 5 by Tim D. from okay I heard such good thing about this product for bass rigs. I have had it about a month not and it has done nothing for my tone. I can boost my low end with the contour, but nothing I couldn't already do. I will be trying it with a PA system soon, so hopefully I will have more use for it there. Rated 5 out of 5 by CruzerT741 from Awesome Addition to any Guitar Rack I was lacking the shine on my tone, this added more that a shine, it added the highs that no EQ could do.